The attack on a cafe in Dhaka was not an aberration — and that makes it all the more worrying. Casual readers of news stories about the recent horrific attack at a Dhaka cafe, which left 28 dead, would be forgiven for thinking that this attack represents a sudden shift in the presence of terrorist organizations in Bangladesh. The New York Times suggested that the attack provided “new evidence that ISIS has shifted its focus beyond the Middle East,” while the BBC asserted that the “sense of security” has fundamentally changed in Dhaka. The July 1 attack undoubtedly represents an escalation in terrorism in Bangladesh, and the relative coordination of this attack, with seven gunman storming a café frequented by expats, is a worrisome development (although it should be noted that the assailants were not heavily armed, indicating that they may not have had the sophistication or the direct links to ISIS that some have claimed). 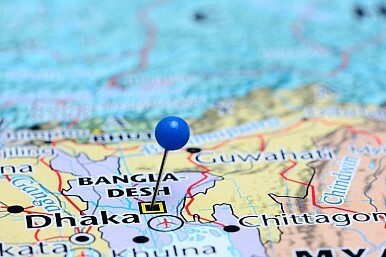 However, those who have followed recent events in Bangladesh will recognize that this attack does not come out of nowhere; rather, it represents the next step in the steady escalation in terrorist attacks over the past couple of years. Evidence about who is behind the attack is still being uncovered, and it is too soon to make confident assertions about whether the attackers are directly linked to ISIS. Experts continue to debate whether the gunmen had ties to ISIS, or al-Qaeda in the Indian Subcontinent, or perhaps to Jama’at ul Mujahideen Bangladesh (JMB), a homegrown terrorist outfit. Prime Minster Sheikh Hasina has claimed that the attackers had no links to ISIS, but this is not surprising given that her government has long denied that ISIS has any operational presence in Bangladesh, seeing claims to the contrary as attempts to undermine her administration’s counterterrorism efforts. What is clear, though, is that this assault follows a steadily rising tide of terrorist attacks in Bangladesh in recent years: extremist groups have killed more than 30 individuals in Bangladesh since 2013. Since September of last year, when an Italian aid worker was shot and killed by two assailants, several foreigners, LGTB activists, and religious minorities have been targeted, including a Shi’ia cleric and a Hindu priest. JMB, an organization that is affiliated with ISIS, is alleged to be behind these attacks. ISIS has indeed claimed responsibility for many of these attacks, including the recent one in Dhaka. In the same time period, several prominent atheist bloggers have been killed by machete-yielding assailants. These murders have been claimed by Ansarullah Bangla Team (ABT), which is linked to al-Qaeda. ABT also circulated a “hit list” of 84 bloggers in 2013; nine of these bloggers have since been killed. These attacks have had a chilling effect on moderate political voices, leading some to stop posting or even leave the country. These groups likely operate on separate tracks, and are actually probably tacitly competing with one another for influence and recruits in the region. Up until now, their attacks have been relatively unsophisticated, typically involving one or a couple of attackers armed with machetes. The Dhaka attack on the Holey Artisan Bakery may signal that terrorism in Bangladesh is entering a new phase, where attacks may become more sophisticated and highly coordinated than in the past. This is of course worrisome, and all the more reason for the international community to work with the Bangladeshi government on counterterrorism measures, an area where the government has conspicuously fallen short in recent years, often politicizing its efforts by using terrorism as an excuse to pursue its political adversaries. But the attack must also be understood in its context, where homegrown terrorist groups, notably JMB and ABT, with affiliations with the likes of ISIS and al-Qaeda, have carried out a series of attacks against foreigners, bloggers, and religious minorities. In order to understand the roots of this violence, it is important to understand that the July 1 attack represents an escalation in an ongoing pattern of terrorism rather than an aberration or a sudden shift in the efforts of international terrorist outfits like ISIS and al-Qaeda. Alexandra Stark is a PhD candidate in International Relations at Georgetown University, and a Research Assistant with the World Faiths Development Dialogue in Washington, D.C. She holds and MSc in IR from the London School of Economics. The July 1 attack was far from an isolated incident. It's part of a wave of extremist violence overtaking the country.